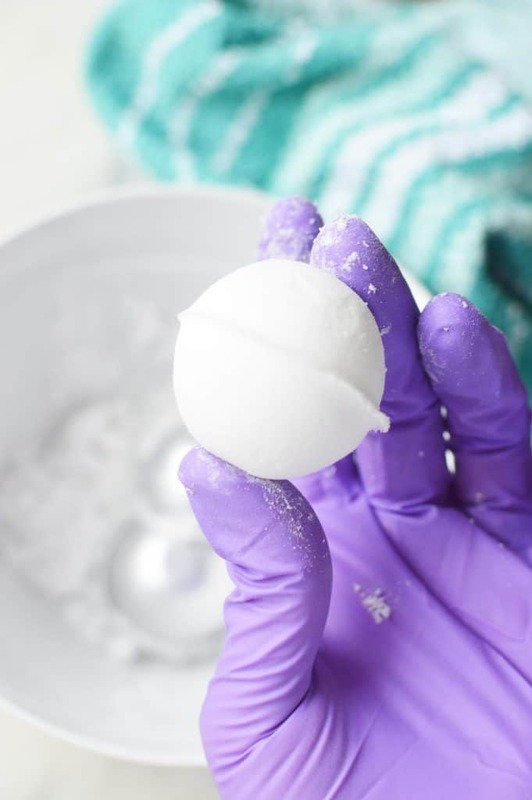 Kids will love these Homemade Bath Fizzies with a secret toy hidden inside. 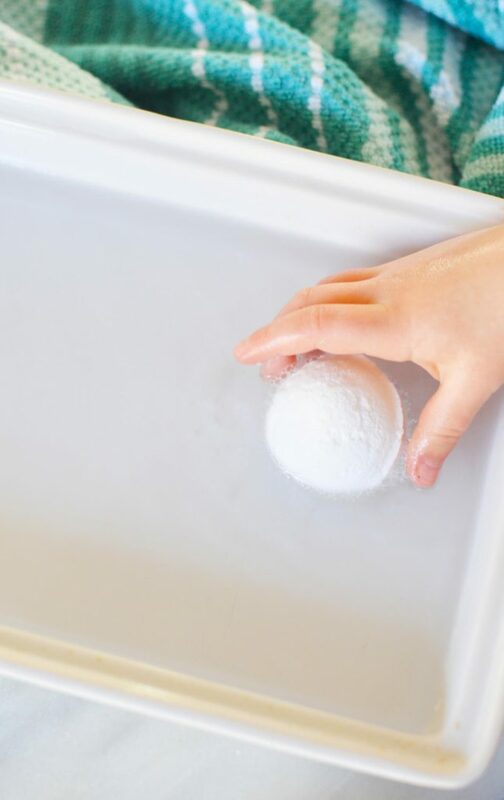 Adding in some calming essential oils to your these bath fizzies will make these perfect to help your little ones get ready to calm down when used just before bedtime. Although I think these are great for bedtime, they really are great anytime, especially if you ever need help calming down an anxious little one. 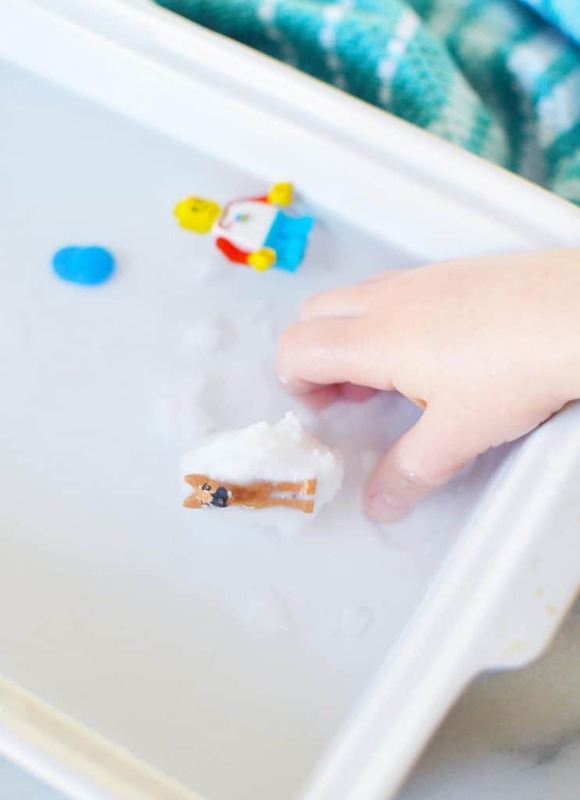 bath fizzie molds– I used the largest one from this exact set and it worked perfectly! Optional: Add 5 – 10 drops of your favorite calming essential oil like Lavender, Chamomile or Stress Away. 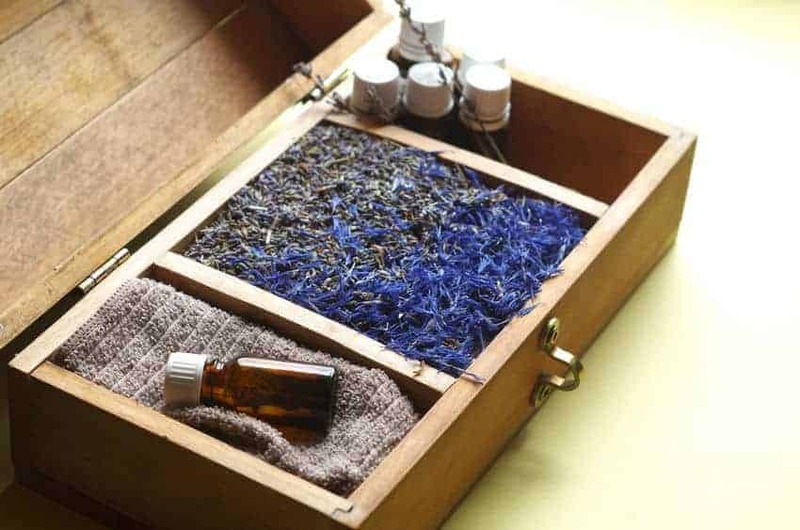 Read more about the essential oils that I trust and use every single day. Have everything measured and the molds out, double check that your Legos will fit into the center of the ball. Thoroughly mix together the citric acid and baking soda . Very slowly pour in the water and mix with your hands. 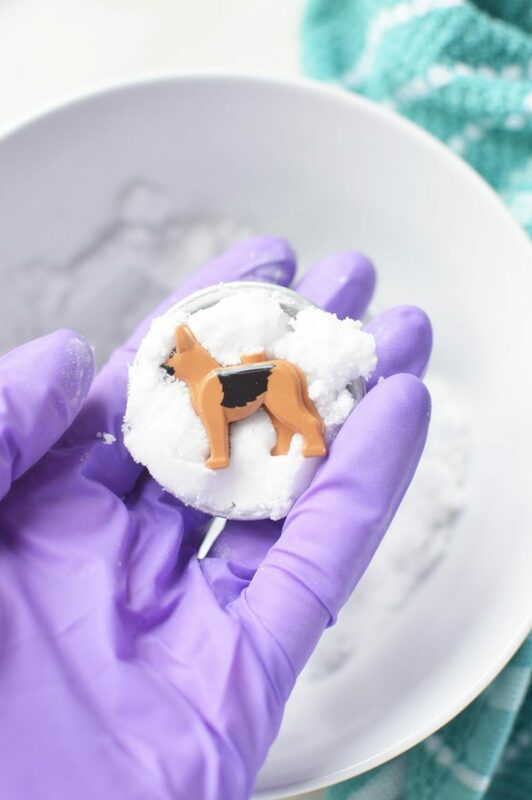 You want only enough water to give the baking soda and citric acid mixture a damp sand like consistency that will hold together when squeezed. 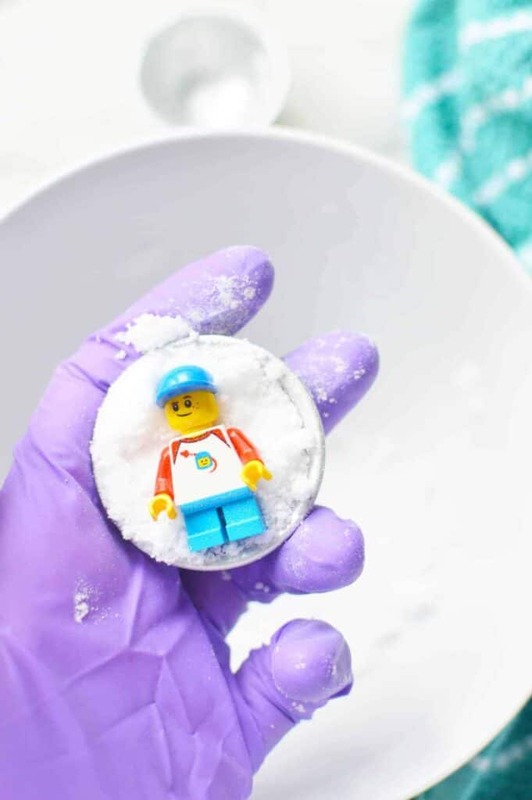 Scoop up some of the mixture into one half of the mold-do not pack down, then press your Lego into it, place more of the mixture on top. Then fill the other half of the mold with all of the rest of the mixture and quickly press the two halves together. I find that if I use a slight twisting pressure in from both sides it helps lock the two sides together. 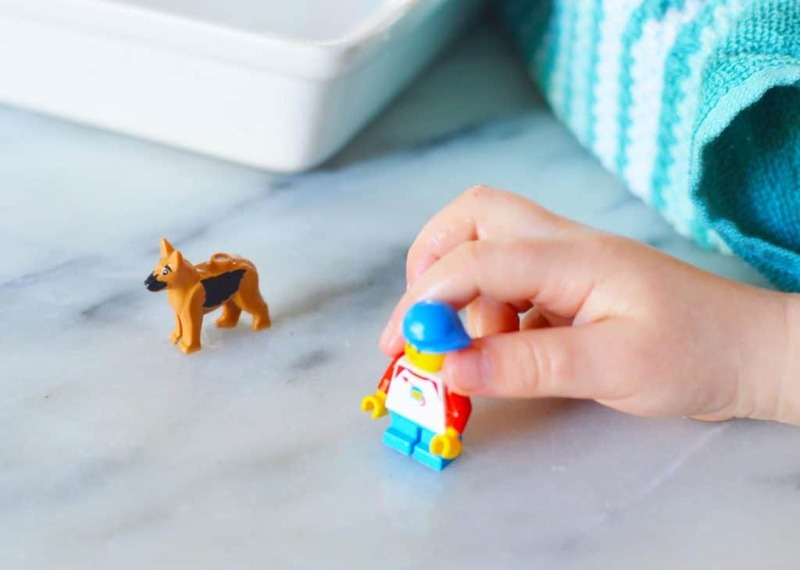 *If your Lego (or other toy) is too large, there may not be quiet enough surface space for the two sides to bond together. 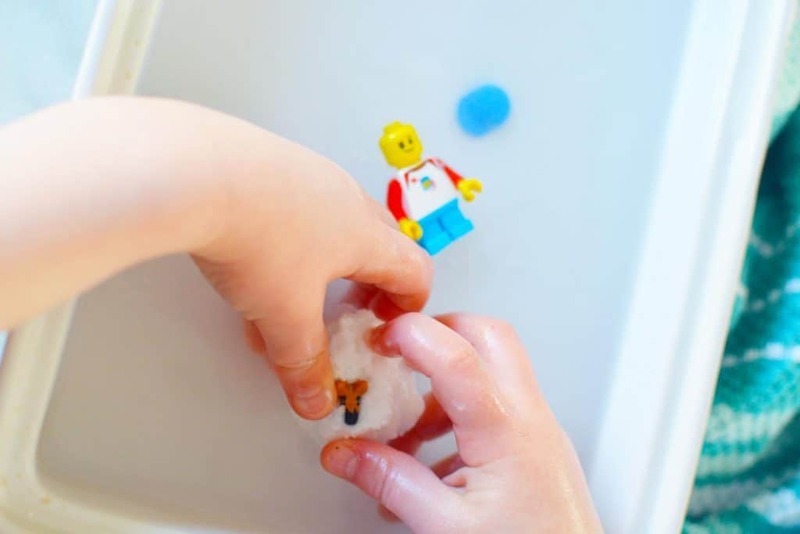 You should be able to carefully and easily remove the molds from the bath fizzie. If it is sticking you can use a wood or silicone spoon to gently tap on the molds to try to help loosen them. Sometimes they stick for no reason and you may need to simply start over. If you mixture is starting to dry a bit you can simply add a *tiny* bit of water to rehydrate. Too much water will cause them to constantly expand and never hold that classic bath fizzie shape. Allow the fizzies to air dry in a sunny place until completely solid, depending on humidity this may be 24 to 48 hours. They’re done when they seem breakable in a glass way, sound and feel crusty. When ready to enjoy, simply let your child add it to the water and be surprised by the center! *These are best for kiddos old enough to not put things in their mouth. 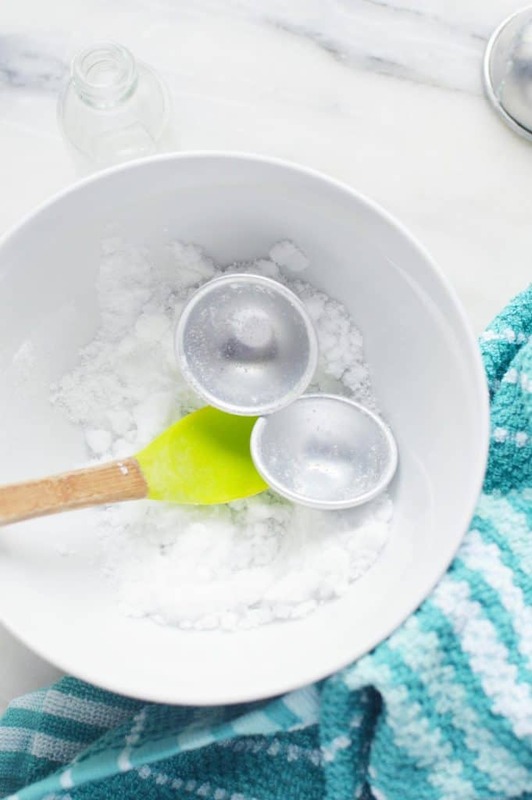 Although I talk about using calming essential oils in this particular recipe, you could also choose oils that are known to help with wellness like the ones I use in this Homemade Vapor Shower Disk recipe.